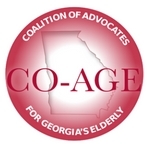 CO-AGE members are currently voting through July 31st to decide the 2017 CO-AGE priorities. There are 10 potential issues this year, 5 Budget and 5 Legislative! Read more about them on our Potential Priorities Page.